Shinzo Abe will address the New York Stock Exchange today, as he continues a five-day visit to New York. The speech will represent a welcome change of pace for Mr Abe, whose trip has thus far been dominated by discussions on North Korea. Despite the persistent security threat posed by the country, the address comes at a happy time for Mr Abe. Foreign investment in the country remains strong and the yen has remarkably improved over the last month, despite the flight of North Korean missiles over Japan. 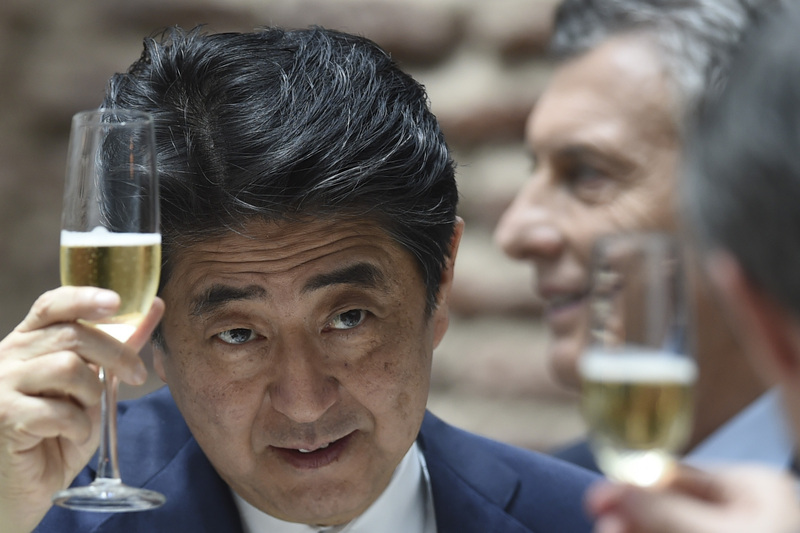 The Japanese economy is also currently enjoying its longest period of growth in a decade. Mr Abe previously addressed the Stock Exchange in 2013, where he advocated for investment in Japan, famously telling the audience to, “Buy my Abenomics!” Despite this, US investment in Japan has steadily decreased since then. US investment was approximately $3 billion less last year than in 2013. With the 2020 Tokyo Olympics drawing ever closer, and a strong Japanese economy behind him, however, there is no better time or place for Mr Abe to reverse that trend. Get a daily geopolitical forecast. Download The Daily Brief in the App Store.